The full text of Chapter 9 can be downloaded as a Word Document or as a PDF. A brief discussion of the scheme can also be found in the article Don’t Restrict Immigration, Tax It by Smith for TCS Daily. Return deposit: Any foreigner entering the United States are required to pay a deposit that is roughly equal to the cost of returning the foreigner to his/her home country. This deposit gets refunded when the person leaves the United States if he/she books his/her own return ticket. The goal of the deposit is to serve as an insurance mechanism so that if the foreigner gets in desperate straits and cannot survive in the United States, he/she can be returned to his/her home country rather than being added to the US welfare state, thus addressing the welfare state/fiscal burden objection. Surtax on earnings: The foreigner pays income taxes, but at a possibly higher rate than American citizens. These higher tax rates can be used to fund cash transfers to, or lower taxes for, low-income natives who may see their wages somewhat undermined due to competition from immigrants. Mandatory savings account: In addition to the taxes, an additional tax (proportional to income) is levied that is used to fill a mandatory savings account tied to the migrant. If and when the migrant chooses to leave the United States, the money from the mandatory savings account is returned to the migrant. [Note: In Smith’s original version of the scheme, the migrant has the option of withdrawing (part or all of the) money from the account whenever not physically present in the United States. This means that it is not necessary for the government to distinguish between temporary visits by the migrant to the homeland and permanent return; however, one can tweak the scheme so that the migrant can either withdraw completely or keep the entire savings amount, and if the migrant withdraws completely, then he/she would need to re-apply for the DRITI visa]. Path to citizenship: If a migrant wishes to attain US citizenship, then, once the amount of money in the mandatory savings account crosses a specified threshold, the migrant has the option of foregoing the amount in the account (i.e., transferring it to the US government) and obtaining US citizenship. Smith argues that this benefits all sides: temporary migrants have a strong incentive (in the form of having their savings returned to them) to return home, and bring money with them, thus benefiting the immigrant-sending countries and addressing concerns about brain drain. On the other hand, those who are willing to forego substantial amounts of savings in order to settle in the United States are demonstrating a certain degree of commitment to living in the United States. 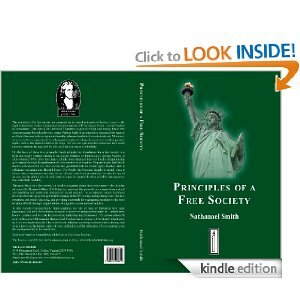 Although Smith does not argue this directly, this scheme might also assuage concerns about political externalities and welfare state burden because of its selectivity in terms of who is offered citizenship, while at the same time avoiding a litmus test based on ideology, earning power, or skills. The mandatory savings account thus combines features of both guest worker programs and immigration tariffs. The surtax rate for migrants, i.e., how much additional proportion of their income migrants pay relative to natives. The tax rate that goes into the mandatory savings account. The “price of citizenship,” i.e., the threshold amount at which the migrant can choose to forego the money in his/her savings account in exchange for US citizenship. Method of compensation of natives: It is generally believed that the suppression of wages of natives is a phenomenon that will be most acute for low-skilled natives (although wage suppression is not much at current immigration levels, it may be much higher under a quasi-open borders scheme such as DRITI). Smith favors compensating natives who might be hurt by competition from immigrants through means-tested cash transfers. Another option is tax cuts for low-income natives. For more on Smith’s thoughts on the matter, see this comment (and the comments just above, to which it is a response). Children: Children born in the United States to all migrants, temporary or permanent, would be granted US citizenship by the fourteenth amendment (which provides birthright citizenship). This is a problem for restrictionists, who are worried about the cost of public schools for the children of immigrants. One solution to this, if necessary, is to deduct fees for the schooling of children from the mandatory savings account created for the immigrant, if the immigrant’s children uses public schools. If this does not work, extra surtaxes could be imposed on all migrants to meet the cost of schooling. Screening for criminals and potential terrorists: Smith suggests that more scrutiny be given to applicants from Islamic countries that have been sources of terrorists as part of the implementation of this otherwise near-open-borders scheme. This is discussed in a blog post by Vipul Naik and a reply by Smith. Dealing with unauthorized border-crossing and non-payment of taxes: In a blog post about the issue, and further in comments on that blog post, Smith discusses in detail how the issue of unauthorized border-crossing (illegal immigration) would reduce quantitatively under his scheme, and also how immigration enforcement under this scheme would shift focus from deportation (coercion on persons) to collecting back taxes (coercion on property). Do migrants have the option of “topping up” their savings account to attain citizenship more quickly? Smith’s original version of the scheme rejected this option to avoid making the scheme look like “buying citizenship” (as opposed to earning citizenship) but could arguably make the scheme more efficient. Also, in so far as migrants do not have the option of “topping up” their savings account, this automatically makes attainment of citizenship faster (and hence more attractive) for people with higher earning potential. This might make the scheme more attractive to those who are more skeptical of low-skilled immigration for its political externalities, while at the same time keeping the path to citizenship open to all who may be interested with fair and uniform rules. Returning to withdraw funds: Some have noticed the following bug in the scheme: Migrants could keep going home, withdrawing the money in their DRITI accounts, and then returning. Actually, this is not a bug: it is a way to encourage those who are merely sojourning in the US (or other host country) to maintain ties with their home countries, so that if they become economically unable to remain in the US, returning home will not be too much of a hardship. Regular withdrawal of funds also means that it is that much harder to attain citizenship. DRITI is licensed by Open Borders Admin under a Creative Commons Attribution 3.0 Unported License.